When I picture great teaching I see every student actively engaged in exploration, creation, and collaboration while mastering the content in which they are learning. My picture is a small sample of some of the projects in which my students completed to learn the required standards of biology. 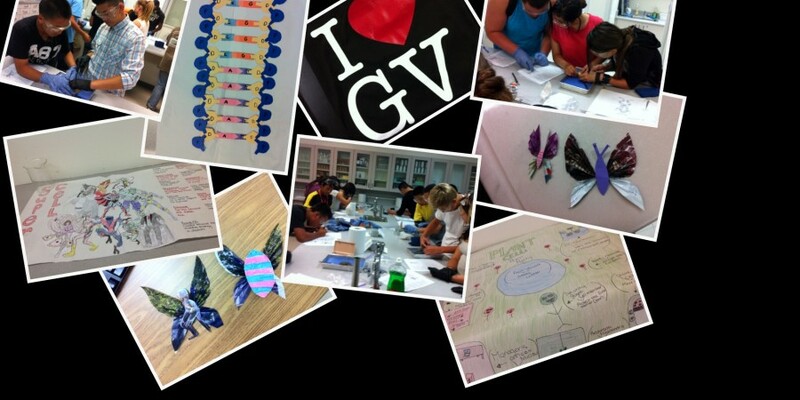 The projects displayed include Cell Analogy Posters, Mutant Butterflies, and a week long Frog Dissection. The activities are designed to provide opportunities in which the students can build skills applicable to the “real world” and become a positivie contributor to society.